Recently, the lucky students at William Blue received a visit from two inspiring Sydney chefs. Carol and Sharon Salloum were invited to tell the story of their successful Darlinghurst restaurant, Almond Bar, as part of the Culinary Speakers Series of talks. These hard-working sisters careers came together again later in life, after following different career paths: aged care and teaching. 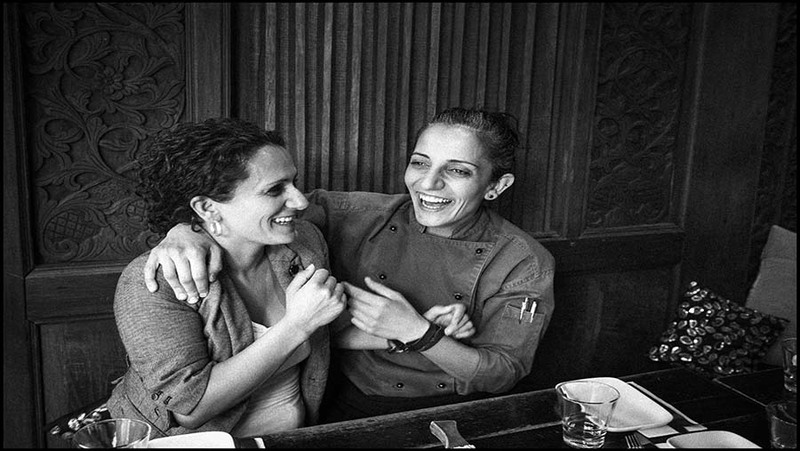 Re-united by their passion for food, they decided to create a restaurant based on the traditional Syrian cooking they learned growing up. In 2007, Almond Bar was born. Almond Bar has since won a number of awards, including the 2009 I Love Food Award for Best Middle Eastern Restaurant. In 2013, they released a cookbook of 100 Syrian recipes that has also won two International Gourmand awards. In 2016, they began a program called ‘Ahlan’, Arabic for ‘welcome’. Using their connections in the restaurant industry, the program provides training and employment for Syrian refugees that have recently arrived in Australia. Sharon and Carol’s parents moved to Australia from Syria forty years ago, and they still have many relatives living there. To them, any of the refugees arriving could be a member of their family. The Culinary Speakers Series of talks is an ongoing event for William Blue College at Torrens University. Students get to ask questions and learn first had from chefs and leaders in the restaurant industry. Speakers so far have included Giovanni Pilu of Pilu restaurant in Freshwater and experienced consultant and industry notable, Kylie Ball. See here for more information on the Culinary Management courses on offer at William Blue.